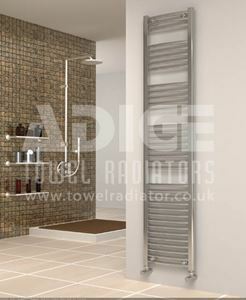 400mm wide and 1150mm high chrome curved heated towel rail with 335 Watt - 1144 BTU/h @ Delta 50. 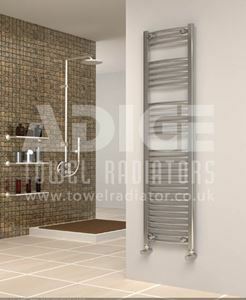 400mm wide and 1150mm high chrome flat heated towel rail with 332 Watt - 1134 BTU/h @ Delta 50. 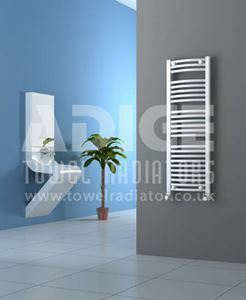 400mm wide and 1150mm high white curved heated towel rail with 424 Watt - 1448 BTU/h @ Delta 50. 400mm wide and 1150mm high white flat heated towel rail with 421 Watt - 1436 BTU/h @ Delta 50. 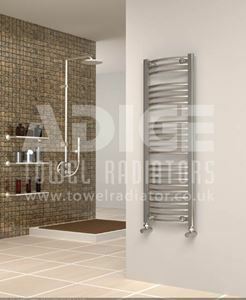 400mm wide and 750mm high chrome curved heated towel rail with 213 Watt - 726 BTU/h @ Delta 50. 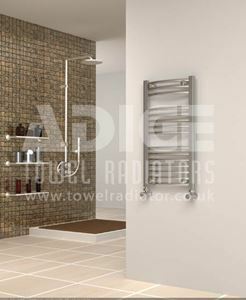 400mm wide and 750mm high chrome flat heated towel rail with 211 Watt - 720 BTU/h @ Delta 50. 400mm wide and 750mm high white curved heated towel rail with 269 Watt - 919 BTU/h @ Delta 50. 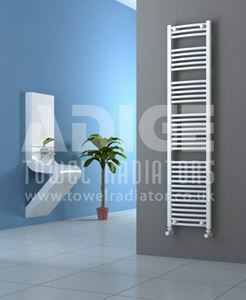 400mm wide and 750mm high white flat heated towel rail with 267 Watt - 911 BTU/h @ Delta 50.